Ruben Dario is a Colombian from Cali, but he now resides in Ecuador. He was the first in a series of blind musicians we recorded in Quito, allowed to play in the streets without a special permit because of their disability. 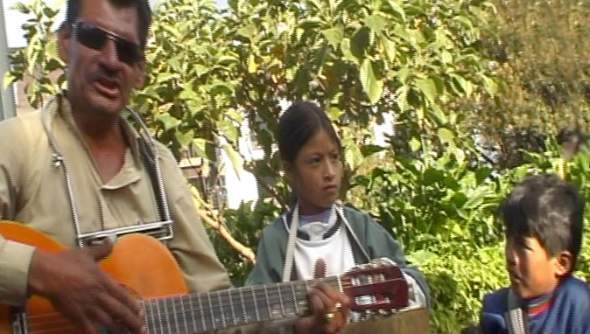 "A Quien En Ganas Abuelo" (Who do you think you're fooling grandfather) is a particularly moving song about a child who has lost his parents and must now try to survive with his grandfather. He sees his grandfather crying, but the old man tries to convince the child he is not crying, and that everything will be okay.